Previous Post Monsieur Phillipe the Magnifique! This made me laugh! in a good way! Thanks for your comment. I use Adobe Illustrator with a Wacom board/pen… Ill check out your blog! 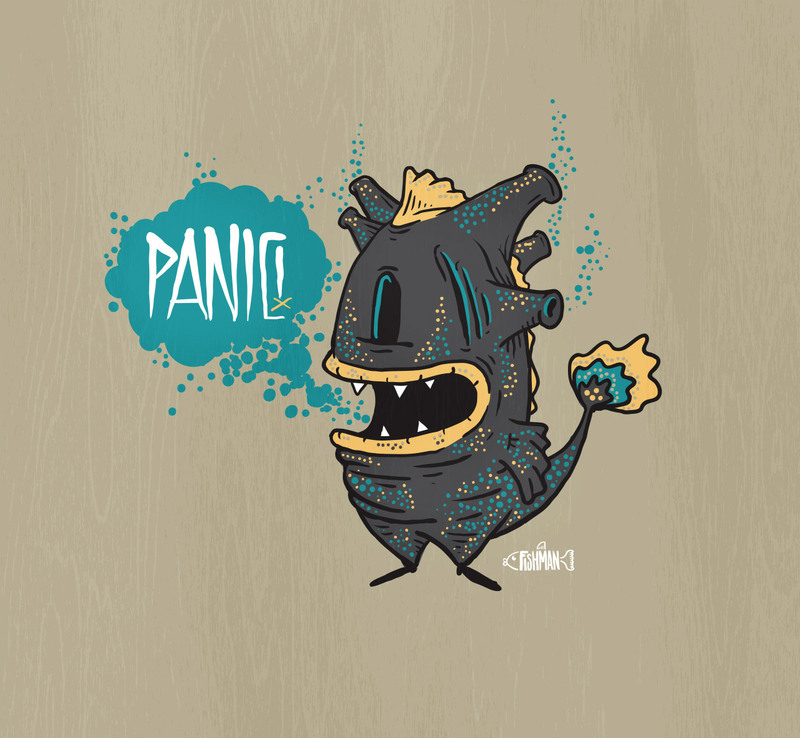 very: PANIC!!! HAHAHA they are great! Your work is creative, witty and fantastically illustrated. We love it! Keep it up! Hey, speaking of water creatures: ever tried illustrating a mantis shrimp? The mantis shrimp is an interesting creature; pretty-looking but deadly. If you’re not familiar with the animal, check this out: http://theoatmeal.com/comics/mantis_shrimp. A hideous monster with attitude! Well done. I love your work! I tried using my Wacom Bamboo only once or twice and gave up, but I am going to start a web comic soon, so I’d better give it some practice ASAP!